Please Make Your Year-end Gift Today! 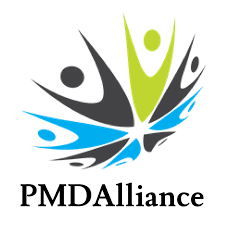 The New Mexico Parkinson's Coalition and PMDAlliance recently merged to bring even more education, resources and support to the state of New Mexico. Together we help people with Parkinson's and their care partners, family and the larger live life to the fullest. All programs provide opportunities for collaboration, fun and interactive learning experiences and networking to improve the PD journey. After years of working closely with the PD community, we developed a unique set of programs designed to address unmet needs built around promoting the daily health and well-being of those we serve. Our programs are designed to keep those we serve inspired and engaged! Parkinson disease is a team sport – and we're on the same team! Your gift ensures we will have the resources we need to provide services to every community member who needs them. Please visit the Parkinson & Movement Disorder Alliance site to learn more. I give so I can help care for others as they are Caregivers for me..
Understanding and pursuing Parkinsons - - - and urgent goal. The Alliance does important work in support of PD patients and caregivers. Thank you PMD for all the support, education and fun you provide for the PWP community!